PARIS -- Renault has alerted French prosecutors to payments made to a Renault-Nissan business partner in Oman under former CEO Carlos Ghosn, two sources told Reuters. This follows an internal investigation by the French carmaker after Ghosn's November arrest in Japan for suspected financial misconduct at its alliance partner Nissan. 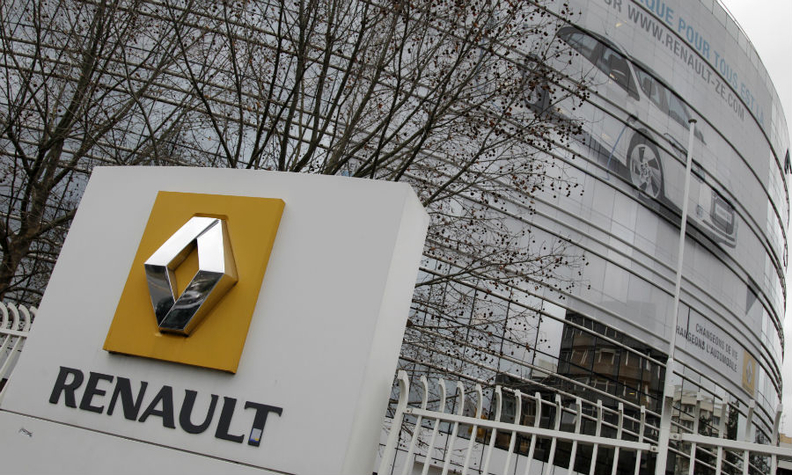 Renault's inquiry has established it paid out millions of euros described as dealer incentives to Omani distributor Suhail Bahwan Automobiles (SBA) over five years from around 2011, said the sources, who were briefed in detail on the findings. Nissan previously established that its own regional subsidiary made questionable payments of more than $30 million to SBA. But the information sent to French prosecutors last week shows that much of the cash was then channeled to a Lebanese company controlled by Ghosn associates, the two sources said. The total sum paid by Renault is in the double-digit millions, one said. "We categorically deny the allegations of potential embezzlement in Oman," Ghosn's French lawyer Jean-Yves Le Borgne said, declining further comment. Renault spokesman Frederic Texier declined to comment, while the French financial prosecutor's office did not respond to requests for comment and SBA could not be reached for comment. Responding last month to earlier reports about the Nissan payments via SBA, a Ghosn family spokesman said: "The dealer incentive payments were directed by regional heads, not the CEO, and rewarded top performing dealers around the world." Ghosn is awaiting trial in Japan on charges that he failed to report $82 million in Nissan pay he had arranged to receive after retirement. He has also been indicted for transferring personal investment losses to Nissan and steering $14.7 million in company funds to Saudi businessman Khaled Al-Juffali. Renault initially sought to avoid being drawn into the investigation initiated by Nissan -- which ousted Ghosn as chairman days after his arrest -- and for weeks avoided sharing the Japanese partner's findings with its own board. But Ghosn was eventually forced out as Renault chairman and CEO in January, when Michelin veteran Jean-Dominique Senard was appointed chairman, and the alliance partners embarked on an independent audit of their joint finances the following month. Born in Brazil to Lebanese parents, Ghosn, 65, returned to Lebanon as a child and retains a powerful network of friends and associates there. A Beirut house was among several properties around the world that were purchased by Nissan for his use, the company's investigation revealed early on. The joint audit of the Renault-Nissan BV alliance management organization has tallied 1.2 million euros ($1.34 million) in Lebanese donations and other spending of questionable benefit to the carmakers, among preliminary results presented to Renault directors this week, two people familiar with the matter said. The audit is examining the use of four corporate jets financed by the Dutch-registered subsidiary and payments of around 170,000 euros annually to Carlos Abou Jaoude, Ghosn's personal lawyer in Lebanon, over six years, the sources said, adding there is no suggestion of any wrongdoing by the lawyer. In an earlier complaint filed with French prosecutors in February, Renault turned over evidence that the 50,000 euro rental cost of Ghosn's Chateau de Versailles wedding in 2016 had been improperly charged to the company. But the alleged Oman connection may deepen Renault's exposure to the scandal unearthed by its Japanese partner, which has strained their 20-year-old alliance, and raise new questions about governance at the French parent company. Cash from Ghosn's own "CEO office" budgets at Renault as well as Nissan moved through the regional sales divisions to SBA and on to a Lebanese intermediary, "Good Faith Investments Holding", the two people briefed on the findings said. From there it flowed on to privately held entities including a British Virgin Islands-registered vehicle that paid for a $15 million yacht, the sources said. Carlos Ghosn has not been charged with any offences in relation to the findings of either carmaker concerning incentive payments to SBA, the Omani partner, the Ghosn family spokesman said.